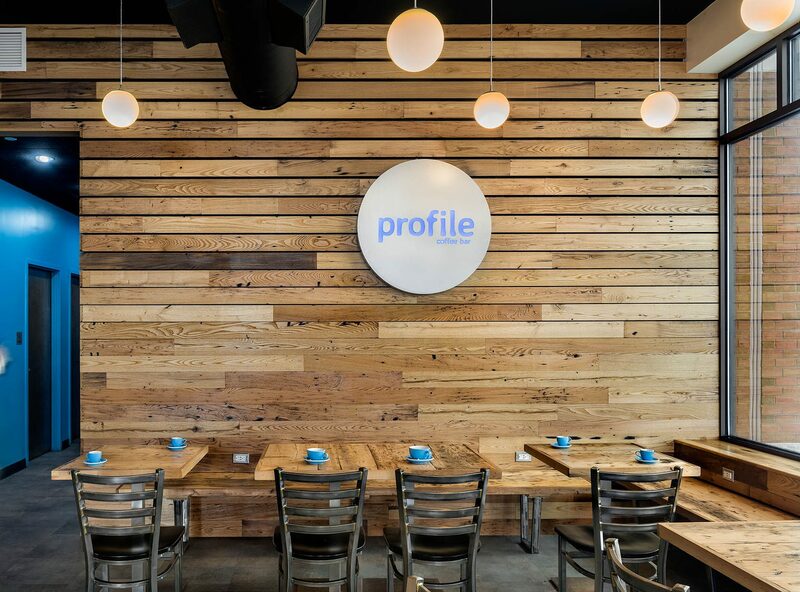 Profile Coffee Bar crafts both traditional and innovative espresso and coffee beverages to the highest standards. 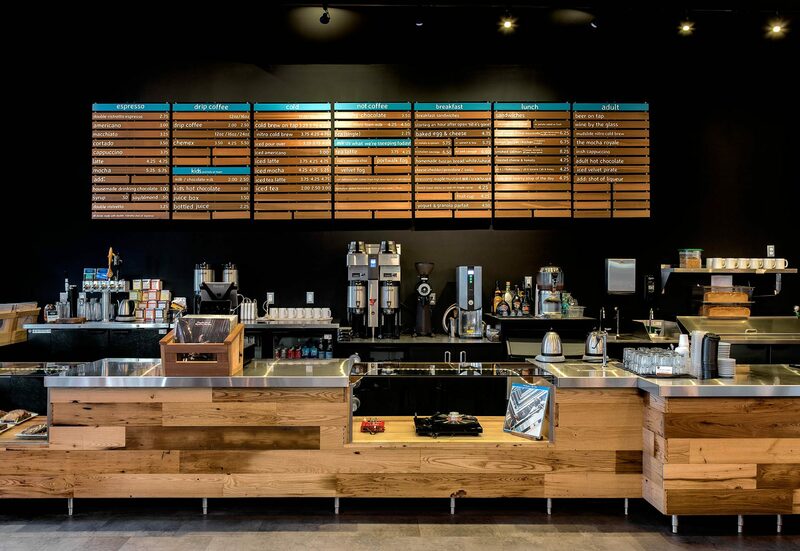 They serve these beverages in a space that invites customers to socialize, enjoy great coffee and food, and relax. TMS was part of the initial project outline and design process. The owner had a great concept and a goal to make and sell top quality coffee in the Portsmouth area. TMS was able to be a part of the team to help create the right space for this awesome coffee product. Coffee is a staple in the architectural profession. 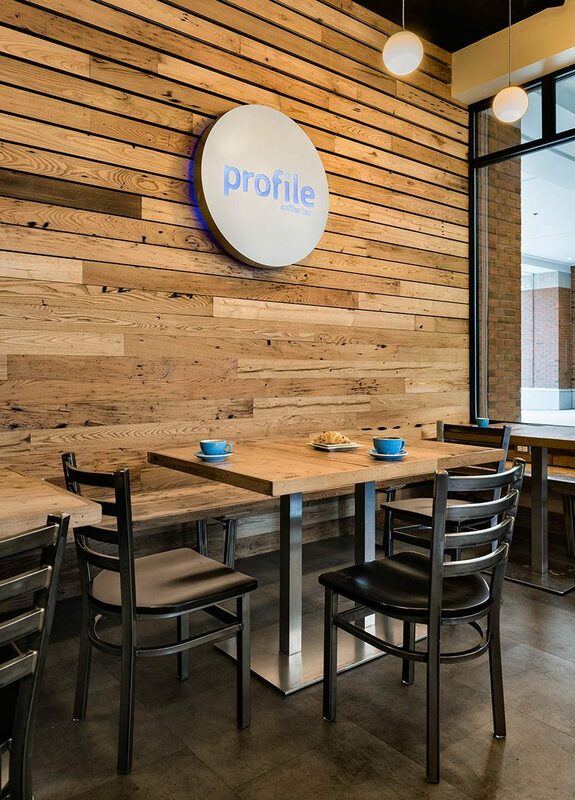 Fueled by a great idea and an even better drink, TMS embraced the challenge and is pleased to have helped create the space that is Profile Coffee. 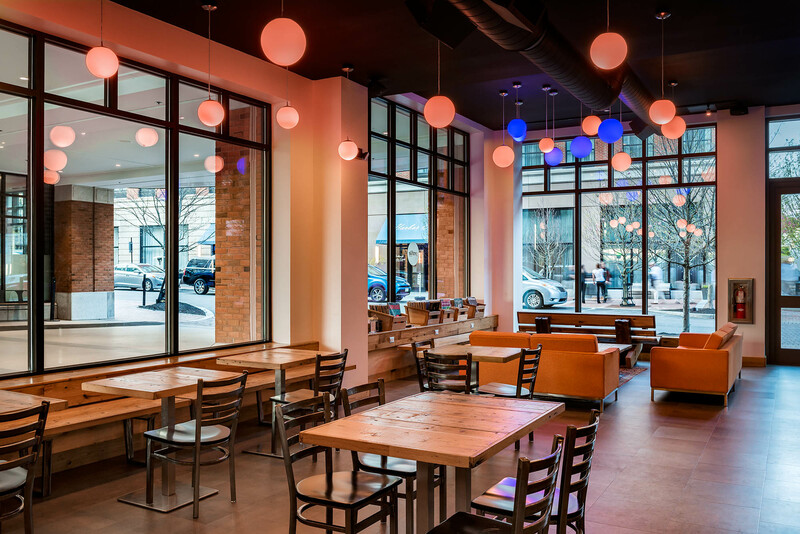 Nestled within one of downtown Portsmouth’s fastest growing areas, Profile Coffee Bar’s location is convenient and strategic. 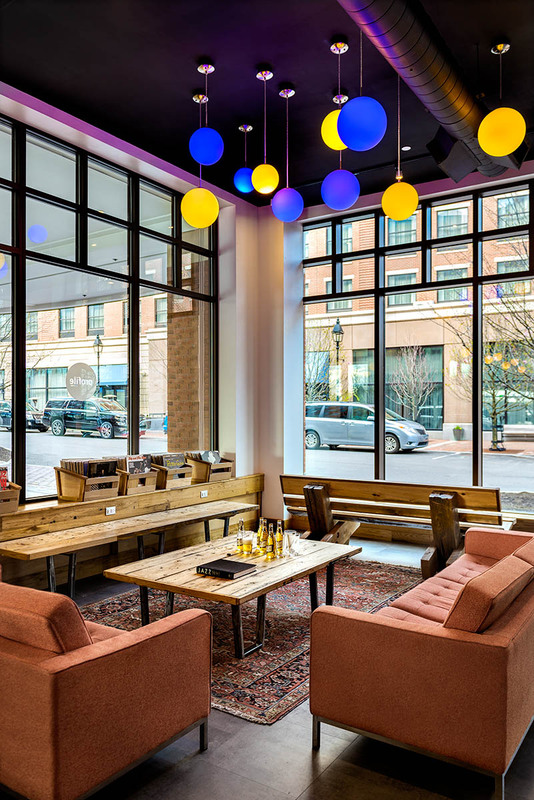 Located in a space that is inviting, easy to get to and alive with atmosphere, Profile Coffee is one of the coolest places in Portsmouth today. Simple design infused with solid colors and warm wood tones, this space is pleasing and comfortable. The counter displays and coffee brewing equipment help set the atmosphere. The vinyl record music and changeable LED lighting fixtures create a distinct impression in this lively space.